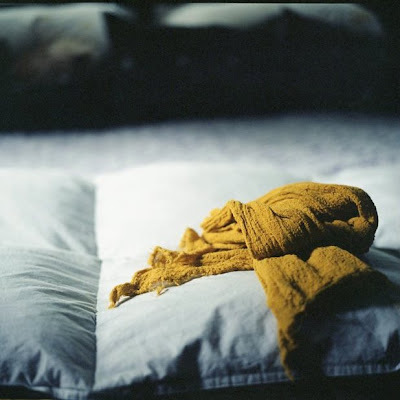 Rachel Saldaña’s (aka buttons magee) is an insanely talented photographer; turning out gorgeous, personal, dreamy work. She also has an excellent blog and a totally lovely home. Really it’s not fair is it?? So her list... well of course it’s totally delightful! I’m so excited she agreed to share her favorites with us. So without further ado, herewith Rachel’s list. Enjoy and have a happy weekend! We’ll be enjoying a block party at the museum tonight and unfortunately we won’t be picking berries. 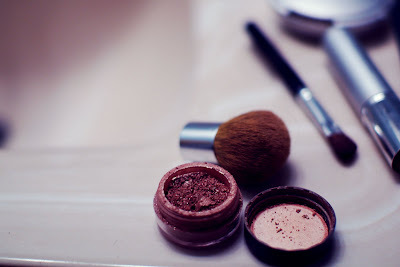 Bare Minerals Make-Up -- I have been using it for about seven years now and it is pretty much the only brand I use. Ever since I was a kid I have loved putting on make-up. Being a mother I don't always have the time to spend getting ready . This make-up makes it possible for me to wear make-up with very little effort. 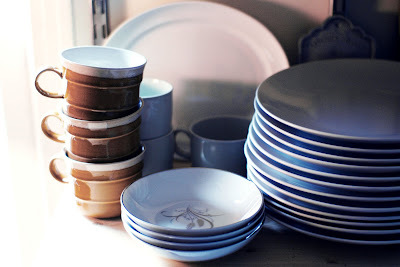 Dishes -- I am a dish-buying junkie, particularly small bowls and plates. I have place settings for heirloom Miss America, blue and white Spode Blue Italian, simple IKEA white place settings, and a plethora of thrift store treasures. Practically every trip to the thrift store results in at least one new dish to add to the mix. Some of my favorites are seen here: vintage coffee mugs and small shallow bowls. 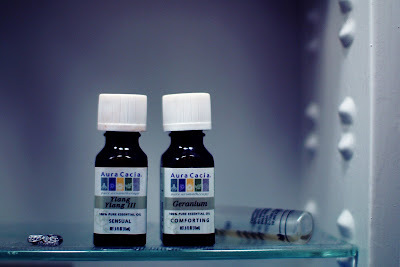 The Combination of Ylang Ylang and Geranium Essential Oils -- I love this duo so much it is hard to even share it. This is the scent I wear every day. Since essential oils are so potent it only takes a tiny dab, which means I seldom have to buy perfume. Boxes -- They are a huge favorite in this house. I use all types from cardboard photo storage boxes in the studio to tiny silver boxes that hold my husband's wedding cufflinks. 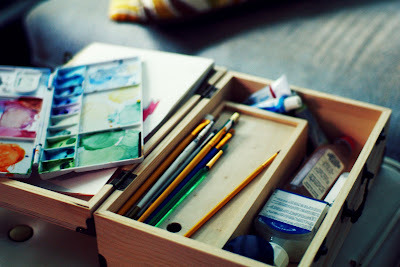 These are inexpensive wooden boxes I use to hold my watercolors. The small one holds all my tubes of paint and the big one keeps it all organized with latches and a handle so I can take it all outside and paint. 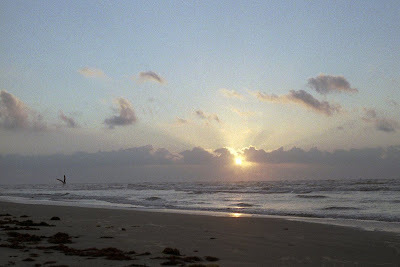 Sunrise at The Beach -- If you are able to wake up early enough while on vacation the reward is tremendous. Few things in this world move me quite like watching the sun emerge over the horizon of the water. 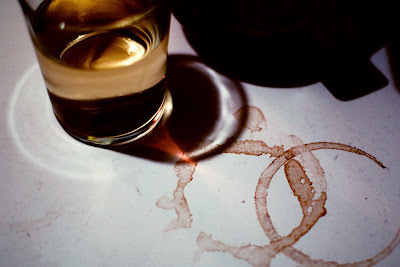 Coffee and Wine -- Constants in my life and one can frequently find abandoned glasses of either sitting around the house. My Cameras -- The thing I would grab in a fire? That would be my cameras. I never go anywhere without at least one, and most often you would find two or three down inside my bag. Each of them offers something different, but if I had to choose one camera for the rest of my life it will always be my Pentax. 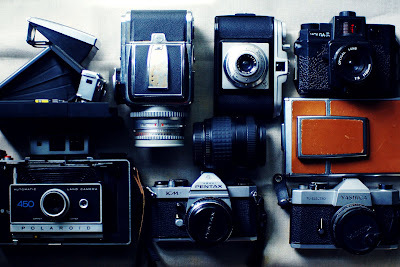 It was the first SLR I ever bought (I was 15) and the camera I still use the most. love the favorites, love the blog and love her home. thanks for sharing! I'm with Rachel...Bare Minerals make up is the best!! Lovely, lovely! I'm heading over to check out the blog. Ah! I started using bare minerals make-up and I completely agree. I don't like make-up that feels very heavy and this was the best choice. I think I have that same eyeshadow! We have that old Pentax too! I was just saying this morning that I miss using the old thing and am completely disillusioned with our digital camera. Absolutely, the Pentax is a wonderful machine! Who thought rings on a table would look so pretty? I LOVE bare minerals too! I have dish envy- those blue plates are darling! i would grab my cameras in a fire too! for sure!